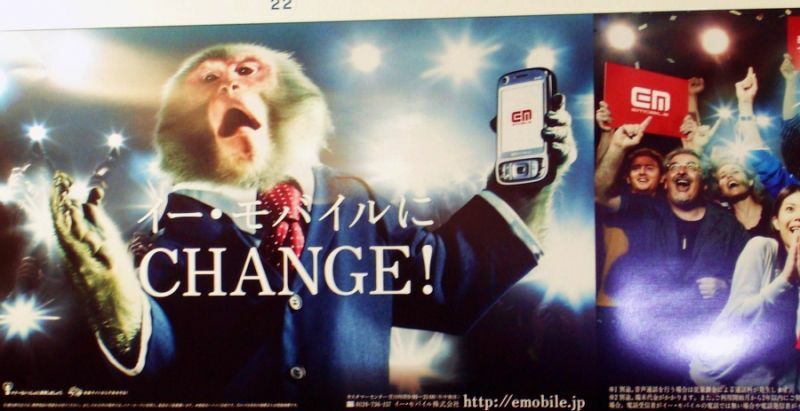 TOKYO (TR) – Communications company eMobile last week canceled its advertising campaign featuring a monkey character following accusations of racism towards U.S. Democratic Party candidate Barack Obama. A number of English-language message boards, however, debated whether the company was being culturally insensitive. 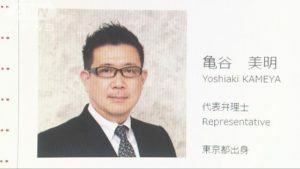 The company, which provides high-speed communications solutions for mobile devices, received one complaint from an American living in Japan who described the campaign as “unpleasant.” The TV ads were pulled on June 27th, within 24 hours of receiving the comment, said the representative. Though Japan’s communications market includes carrier Softbank, which routinely uses dogs in its commercial spots, and the Fuji TV drama “Change,” whose storyline features a politician running for office, is likely the campaign’s true satirical target, eMobile felt that pulling the plug was the best decision. 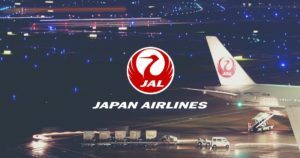 The company maintains that its intention was to emphasize the changes it is making in Japan’s mobile market. “Our company was borrowing the passion and vibrant speaking scenes contained within the presidential election,” the representative said.